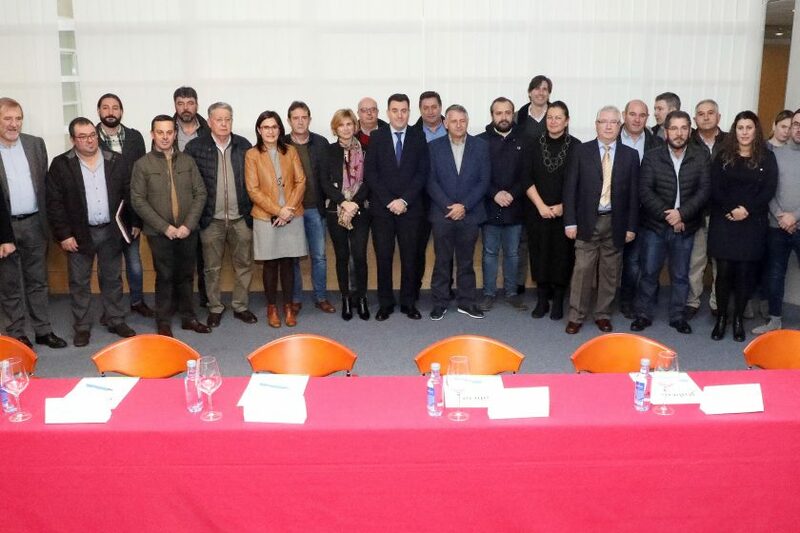 The Regional Minister of Culture and Tourism, Roman Rodríguez, met today with the mayors of the municipalities of the Via de la Plata, before whom he presented the project of comprehensive action that his Department will carry out next year 2019 in this Jacobean itinerary, the largest in the Galician Autonomous Community. In order to promote its conditioning, improvement and signposting, 3 million euros will be invested to enable this route to arrive in an optimal condition to the celebration of Xacobeo 21. The objective of the meeting was to inform the general lines of work, since the drafting of the intervention project is being finalised. After its completion, it will be sent to each of the city councils of the Via de la Plata—more than thirty in the provinces of Ourense, Pontevedra and A Coruña—in order to take into account their possible observations. This gives continuity to the initiatives developed during this time in the hostels of A Bandeira (Silleda), A Gudiña, Faramello (Teo), Cea, Xinzo de Limia, Riós, Verín, Vilar de Barrio, Vedra or Sandiás. Likewise, the first edition of the Galicia Parabens award also went to the Vía de la Plata, recognising the beautification works promoted by the City Council of Boqueixón around the Pico Sacro, one of the symbolic references of the Jacobean pilgrimage. Along these lines, it is planned the imminent intervention in the hostel of Bendoiro, in Lalín, whose repair was contracted for an amount in excess of 250,000 euros. This investment will make it possible to work on the illnesses that it has been dragging and that caused special deterioration in different parts of the structure, roofs, carpentries, façades and terraces. It is also planned to prepare or build a hostel along the Via de la Plata to meet the needs of pilgrims on horseback, one of the options for getting to Compostela. In this regard, it should be borne in mind that, since the approval of the Master Plan for the Camino de Santiago, the Government of Galicia has been working on the specialisation of the Via de la Plata as an itinerary preferably specialised in this modality. In recent years, the Vía de la Plata has had a constant influx of pilgrims that has led it to exceed 9,000, with a significant growth margin ahead. 60% of them are Spanish, although other nationalities also stand out, such as Portuguese, Germans, Italians, French, Americans, British, Dutch and Belgians. Currently, the network of public hostels dependent on the Regional Ministry of Culture and Tourism has 13 hostels and more than 400 bed-places. In recent years, the S. A. de Xestión del Plan Xacobeo has taken on the direct management of some of them, which were ceded by the city councils. The actions planned on the Vía de la Plata for 2019 extend the scope of those already carried out on the Camino Francés in 2015, on the Camino del Norte and the Camino Primitivo in 2016, on the Camino Inglés and on the Camino de Fisterra y Muxía in 2017 and on the Camino Portugués and on the Camino Portugués de la Costa in 2018. The programme will be completed in 2020, in time for Xacobeo 21, with works on the Camino de Invierno and the Mar de Arousa and Río Ulla Route.